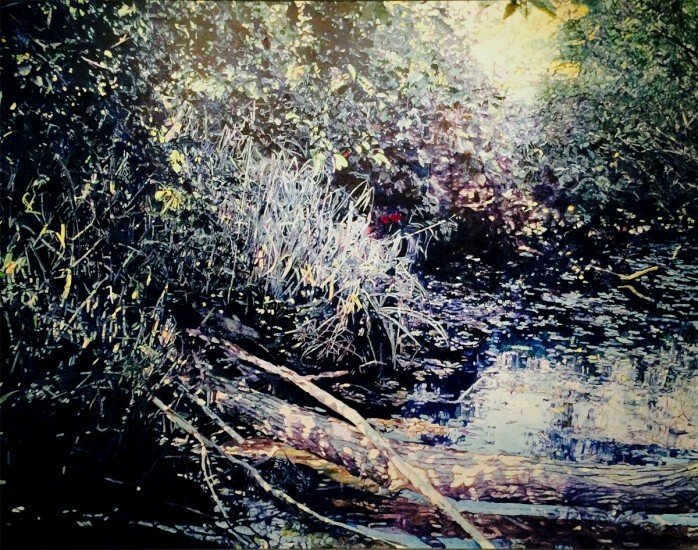 In William Nichols' large-scale paintings, the viewer is immersed within a lushly blooming garden or a densely wooded forest. It is a contemporary look at landscape generated out of American traditions of realism. Nichols' overlaying of transparent glazes creates a rich tapestry of sensuous color and texture.